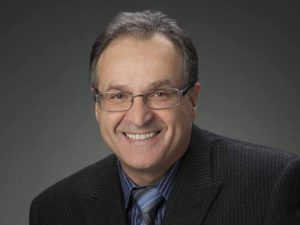 Dino Miele brings over 35 years of experience in the information and communications technology industry to his role at the District School Board of Niagara. He provides strategic and operational leadership for an innovative, robust, and secure information technology environment to support 21st century learning. Mr. Miele served six years as a board member and Vice-President of Educational Computing Network of Ontario (ECNO). He serves as an advisor with the Customer Council Committee for the Ontario Educational Collaborative Market Place (OECM), industry expert for Innovate Niagara’s Generator@one incubator, Edtech expert at the MaRS educational technology accelerator. Mr. Miele also serves as CEO and founder for the non-profit organizations ihub Niagara Educational Research and Innovation centre, the Canadian educational Technology ConnectED Conference as well as President of the Niagara CIO Consortium (NCC) comprised of all 12 municipalities in the Niagara Region.